Show off your pool table with this brillant 5-color neon sign! 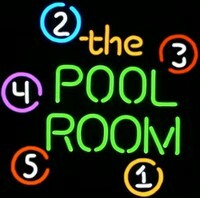 A great sign for the true pool enthusiast. It adds the perfect touch to any home bar, game room, or business. Solid state UL Listed transformer backed by full 1-year warranty. Sign is a 100% hand crafted, with quality 1/2" diameter neon glass tube. Plugs into any standard wall outlet and features a pull chain for easy on and off lighting. Quiet and energy efficient, uses less power than a 75-watt light bulb. Easy installation, sign will hang in a window, sit on a shelf or mount to a wall. Comes complete with everything you need to use immediately.